Welcome to Council's Fit for the Future community information page. On Friday, 18 December 2015 the NSW State Government released details of its merger proposals for councils across the State as part of the Fit for the Future Reform Program. This included a proposal for Hawkesbury City Council and part of The Hills Shire Council to merge. On Thursday, 12 May the Government announced that the proposal to merge Hawkesbury City Council with part of The Hills Shire Council would not proceed. This page will be regularly updated with information on the Fit For the Future and Merger process. 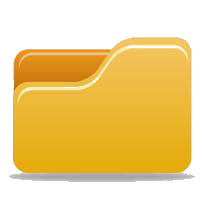 Visit the document library for current documents. Last week the NSW Government advised Council that it would not be proceeding with the proposed merger of Hawkesbury City Council and part of The Hills Shire Council. This decision was based on the recommendation of Mr Gary West, the delegate appointed by the Office of Local Government to conduct the public inquiry into the merger proposal. You can read the Delegate’s report in full on the NSW Government’s Stronger Councils Stronger Communities Website. The proposed merged council entity would not be financially sustainable and would not address the revenue shortfall which contributed to Council being assessed as ‘unfit’ by the Independent Pricing and Regulatory Tribunal. There is no clear evidence that the infrastructure backlog of the proposed merged council could be funded without a reliance on rate increases. The proposed merger would have a significant negative economic impact on the Hawkesbury. The lack of direct public transport links between Windsor and Baulkham Hills. The clear evidence that Hawkesbury area is oriented towards Penrith and the Blue Mountains rather than The Hills. These reasons were outlined in Council’s submission in response to the merger proposal. Thank you to our community for the support you have shown in retaining our local government area. We particularly appreciate the support received residents who attended the public inquiry meetings and who lodged submissions with Mr West. We will now get on with the challenge of continuing to make this Council sustainable into the future. Council will carry on implementing its Fit for the Future Plan. We will now be able to fully commit to the Regional Strategic Alliance with Penrith and Blue Mountains City Councils and continue our active engagement with these councils to deliver the productivity and efficiency outcomes expected under the Fit for the Future reform framework. Submissions regarding the proposed merger of Hawkesbury City Council and part of The Hills Shire Council have now closed. The Mayor of Hawkesbury, Councillor Kim Ford would like to thank the hundreds of people who had their say and stood up for the Hawkesbury. “At the two public meeting, there were more than 80 speakers, and about 400 people in attendance to voice their views – which were overwhelmingly against this merger proposal,” said the Mayor. “I would like to thank all the Hawkesbury residents who attended, spoke or wrote submissions, your views and support have been greatly appreciated,” he added. Last week, Council’s Senior Executive team and the Mayor met with Local MP Mr Dominic Perrottet. He agreed to accompany the Mayor and the General Manager of Hawkesbury City Council to meet with a representative from the Office of the Minister of Local Government, to further push the Hawkesbury’s case against this proposed merger. “This merger will not create a council better able to meet community needs of the future but throw together two distinctly different regions, destroying historical and traditional values and weakening our community ties,” said Mayor Kim Ford. Due to public demand an additional public inquiry meeting in relation to the proposal to amalgamate the local government areas of Hawkesbury City Council and part of The Hills Shire Council will be held out of normal working hours. Hawkesbury Race Club - Monday, 22 February 2016 from 7pm to 10pm, 1 Racecourse Road, Clarendon. To attend or speak at the meeting you must register online at https://www.councilboundaryreview.nsw.gov.au/proposals/hawkesbury-city-and-the-hills-shire-councils/ or by calling 1300 813 020. Members of the public can also comment on the NSW Government’s proposal to merge Hawkesbury City Council with part of The Hills Shire Council up until 5pm Sunday, 28 February 2016. Submissions may be made either online at www.councilboundaryreview.nsw.gov.au/proposals/hawkesbury-city-and-the-hills-shire-councils/ or by mail to GPO Box 5341 SYDNEY NSW 2001. Hawkesbury City Council remains opposed to any boundary changes or merger proposals. Results of Council’s Merger Survey indicate a strong sense of community and support Council’s decision to stand-alone. Do you agree with the proposal of The Hills Shire Council to merge with Hawkesbury City Council? Which local Government area does Hawkesbury have more in common with? The merger proposal is based on a standard set of assumptions. The proposal has not adequately considered the specific financial requirements and operating characteristics of the Hawkesbury Local Government Area which has a combination of metropolitan and rural features. The net financial benefits flowing from the merger proposal are modest at best with an average annual net saving of between $815,547 and $646,510 per year or between $12.45 and $9.86 a person. The benefits are far outweighed by adverse economic impact of the merger on the local economy ranging from $8.3M to $81.3M per year. The merger proposal alone is unlikely to generate a sufficient financial return to provide new infrastructure and improve services or prevent the need for future rate increases. The merger proposal, by itself, is unlikely to improve Council's overall operating performance or fund the current gap between what Council requires to fund the maintenance and renewal of its assets and what it currently spends on these assets. Council believes the merger proposal will not deliver a better financial outcome than its Fit For The Future Proposal to 'stand-alone'. Council's Fit for the Future proposal will deliver a secure future and maintain the identity of the Hawkesbury community. An analysis of the proposed merger published by the Independent Pricing and Regulatory Tribunal calculated that the merger of Hawkesbury and The Hills would deliver the smallest financial benefit of any of the proposed metropolitan mergers. Australian and international evidence on council amalgamations indicates projected net savings may not be likely to be achieved. A merged Council would be unlikely to have more than three representatives for the Hawkesbury area with no guarantee they would live locally. Submissions will be accepted up until 5pm Sunday, 28 February 2016. The NSW Government has released notification of a public inquiry in relation to the proposal to amalgamate the local government areas of Hawkesbury City Council and part of The Hills Shire Council. Hawkesbury Race Club - Friday, 5 Feb 2016 from 1pm to 5pm, 1 Racecourse Road, Clarendon. To attend or speak at the meeting you must register prior to Friday, 29 January online at https://www.councilboundaryreview.nsw.gov.au/proposals/hawkesbury-city-and-the-hills-shire-councils/ or by calling 1300 813 020. Members of the public can also comment on the NSW Government’s proposal to merge Hawkesbury City Council with part of The Hills Shire Council up until 5pm Sunday, 28 February 2016. Submissions may be made either online atwww.councilboundaryreview.nsw.gov.au/proposals/hawkesbury-city-and-the-hills-shire-councils/ or by mail to GPO Box 5341 SYDNEY NSW 2001. For further information about the history of this issue see http://yourhawkesbury-yoursay.com.au/getting-council-fit-for-the-future . Submissions are now open to make comment on a NSW State Government proposal to merge Hawkesbury City Council with part of The Hills Shire Council. Make a submission either online at www.councilboundaryreview.nsw.gov.au/proposals/hawkesbury-city-and-the-hills-shire-councils/ or by mail to GPO Box 5341 SYDNEY NSW 2001 up until 5pm Sunday, 28 February 2016. The Minister for Local Government, The Hon Paul Toole MP has advised Council that he has referred a council merger proposal relating to Hawkesbury City Council and part of The Hills Shire Council to the Chief Executive of the Office of Local Government for examination and report under the Local Government Act 1993. The Chief Executive has delegated the function of examining and reporting on the proposal to a delegate, Mr Garry West. Mr West is a former politician who has held many ministerial portfolios including Local Government. Mr West will prepare a report that considers financial impacts, communities of interest, elected representation, employment of staff, service and facilities, and the attitude of residents and ratepayers. This report will go to the Minister, as well as the independent Local Government Boundaries Commission, which will comment on the report. Public submissions will be reviewed by the Delegate and used to inform the examination and reporting process. A decision about the proposed amalgamation is not expected before the middle of 2016. Mr West will also conduct a public inquiry which will probably take the form of a public meeting however at this stage Council does not have any further information about these arrangements. Further information on the proposal and how to make a submission can be found at www.councilboundaryreview.nsw.gov.au/proposals/hawkesbury-city-and-the-hills-shire-councils/. Today the NSW State Government released details of its merger proposals for councils across the State as part of the Fit for the Future Reform Program. This included a proposal for Hawkesbury City Council and The Hills Shire Council to merge. Details on the State Government’s proposal for the merger of Hawkesbury and The Hills can be accessed online at www.councilboundaryreview.nsw.gov.au. The Chief Executive of the Office of Local Government will now appoint a delegate to undertake a Public Inquiry (a public meeting for the community), call for written submissions and prepare a report against the criteria in the Local Government Act 1993. This process is to further determine the feasibility of the proposal and to provide the community with their chance to have their say on the proposal. It is proposed this will be undertaken in time for a possible March 2017 Local Government election. “I call for all the residents of the Hawkesbury to actively participate in any process seeking community feedback and will endeavour to ensure the community is informed as new information is released on this process,” he added. Council’s Your Hawkesbury Your Site will be regularly updated with information on the Fit For the Future and Merger process. Visit the document library for current documents. 1. No requirement for Council to consider a merger case. Under the NSW Government’s Fit for the Future Reform Program, Hawkesbury City Council has consistently been identified as a no change council with the scale and capacity to stand alone. Council’s position is consistent with the recommendations of the Independent Local Government Review Panel and the NSW Government response to these recommendations. It is also consistent with the most recent advice from the NSW Government which stated that councils who have been assessed by IPART as having scale and capacity were not required to submit a merger proposal. The push for a merger is being solely driven by The Hills Shire Council. It is their position which is contrary to Fit for the Future Reform Framework.  2. Council’s position is in keeping with the views of both The Hills and Hawkesbury ratepayers. Up until 10 November 2015, there had been no indication within the Fit for the Future Reform process that Hawkesbury City Council was required to consider a merger or amalgamation. Therefore Council was not required to canvass the views of the community regarding the merits of a proposed merger. Council advised ratepayers it would be prepare its Fit for the Future proposal on the basis of being a stand-alone Council. This approach was consistent with the Fit for the Future guidelines issued by the Office of Local Government (OLG) and was endorsed by Hawkesbury residents via an online poll. In preparing its Fit for the Future proposal, The Hills Shire Council had also conducted an on-line survey to seek the views of their residents regarding a full merger with the Hawkesbury – this proposal was overwhelmingly rejected by 90% of the respondents. Council’s current position in opposing a merger with The Hills Shire is the only position that reflects the views of both The Hills and Hawkesbury ratepayers. The Fit for the Future Proposal prepared by The Hills Shire did not advocate a full merger with the Hawkesbury. On the 10 November 2015 The Hills Shire Council reversed this position and submitted a revised proposal to the NSW Government advocating a full merger with the Hawkesbury. This about-turn was not supported by any new evidence or community petitioning. The Independent Local Government Review Panel’s Final Report released in October 2013 recommended that Hawkesbury City Council should remain as a stand-alone Council into the foreseeable future. This recommendation, which was endorsed by the NSW Government in September 2014, has remain unchanged. Council’s current position in opposing a merger with The Hills Shire is the only position that has remained consistent. 4. There is no evidence or business case or community support for the proposed merger. The proposal by The Hills Shire to merge with the Hawkesbury was first put forward less than one month ago (10 November 2015). This proposal has been submitted without a robust and detailed due diligence business case to establish the financial and social costs and benefits of the proposed merger. The only available financial analysis for the merger is a heavily qualified desktop audit undertaken by Ernst and Young at the request of IPART. This analysis was wholly based on the theoretical application of a standard formula to each Council’s financial statements. It concluded that the merger might deliver a $12 saving per person per year over the next 20 years. The costs, disruption and loss of democratic representation that would flow from a merger were not considered. The 10 November reversal of the initial position of The Hills Shire Council against a full merger with the Hawkesbury has prevented The Hills Shire or Hawkesbury Council having the time for any meaningful consultation with their respective ratepayers. An online survey currently being conducted by Hawkesbury City Council has pointed to an overwhelming rejection of the merger proposal by Hawkesbury residents.  5. Council is actively engaged in the local government reform process and the implementation of the NSW Government’s Metropolitan Strategy. Hawkesbury City Council is already working to deliver the productivity and efficiency outcomes expected under the Fit for the Future Reform framework. Council has formed a regional strategic alliance with the Blue Mountains and Penrith City Councils to reduce the cost of our services and achieve better outcomes and a stronger voice for our residents. The alliance will allow us to achieve the efficiencies that local government reform is seeking while maintaining our autonomy and identity. The Alliance will also strengthen our collective ability to represent the unique mix of towns and villages and the rural and wilderness landscapes that we share with the Blue Mountains and Penrith and enable us to continue to sensitively manage the future growth and development of Sydney’s peri-urban fringe. Aligning our future with the Blue Mountains and Penrith is consistent with the NSW Government’s Metropolitan Strategy which groups the Blue Mountains, Hawkesbury and Penrith within the same planning sub region. The merger proposed by the Hills Shire Council is contrary to the intent of the Metropolitan Strategy. It carries the real risk that the interests of Hawkesbury ratepayers will be side-lined in a merged entity whose focus is likely to be on the development of the North West Growth Sector. Members of the Hawkesbury community are advised that an Extra Ordinary meeting of the Council has been called for 6:30pm on Tuesday, 15 December 2015 in the Council Chambers, 366 George Street, Windsor. The meeting has been called at the request of a number of Councillors and its purpose is to express Council’s absolute opposition to any amalgamation. This relates to the recent submission to the State Government by The Hills Shire Council which proposes a merger with Hawkesbury City Council in association the Government’s current “Fit For the Future” process. The Business Paper for the meeting will be available from 12noon on Friday, 11 December 2015 and can be viewed on Council’s website. To address the meeting on an item in the business paper you must register to speak prior to 3pm on the day of the meeting by contacting Council. An application form is available online. Hard copy forms are available from Council’s Administrative Building 366 George Street, Windsor or by contacting the Manager Corporate Services and Governance on (02) 4560 4426. Hawkesbury City Council does not need or want to join with The Hills Shire Council and has voted to stand alone. “We want to maintain the right for our residents to have a strong voice in the future of their community by retaining their own council,” said The Mayor of Hawkesbury, Councillor Kim Ford. “I am asking the Hawkesbury community to take a stand against a merger with The Hills Shire Council. Your opinion will make a difference. I know December is a busy month for all of us but I ask you to make time to speak out by contacting your local State member and by completing the Merger Survey,” he said. The Premier of NSW has indicated that an announcement about the future of all councils will be made before Christmas. “It’s vital that we let our Local State Member of Parliament, The Hon. Dominic Perrottet MP know our feelings now or we may potentially be left facing the new year grieving the loss of our local government area – the Hawkesbury,” said the Mayor. The people of the Hawkesbury have strong ties with the communities of Penrith and Blue Mountains and we work well with both Councils to fight for and support the interests of residents living in the outer rim of the metropolitan area. Councillor Ford added, “We don’t have a lot in common with people living in a dense suburban and high rise environment such as The Hills. Our values are vastly different. We work hard to have our voice in heard State Government and we don’t want it drowned out by those whose priority is servicing the north-west growth centre”. “We must maintain our unique identity and our local representation in order to preserve all that is great about living and working in the Hawkesbury. “Hawkesbury is in a strong and stable financial position and we have a solid improvement plan for the future. “We need our community’s assistance in letting the state government know that this Council does not want, or need, to merge with The Hills Council,” concluded the Mayor. To have your say complete the Merger Survey.